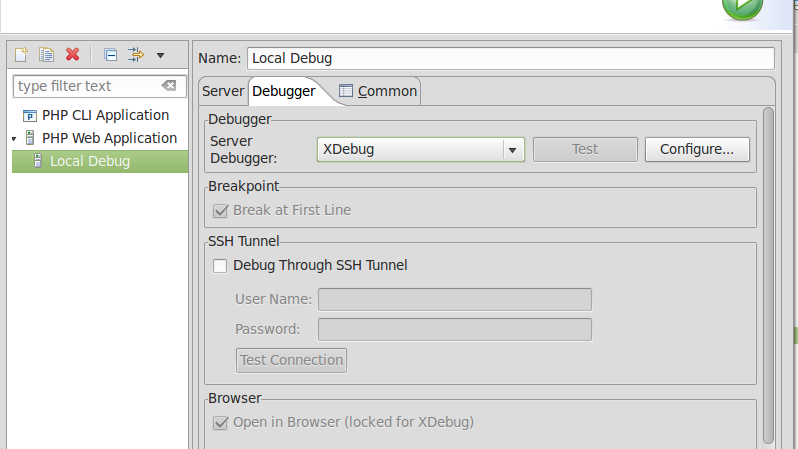 This will be a tutorial on how to debug a PHP application using xDebug and eclipse. in most cases, this will show /usr/bin/java which is a symlink to the actual java binary. On windows, you need to updateh environment variable that you set for the JAVA_HOME. Googling on this shall give you the right direction. On windows, you can use wamp server and be done with it. and do phpinfo(); you should be able to see the xdebug info there. Again restart your apache web server. 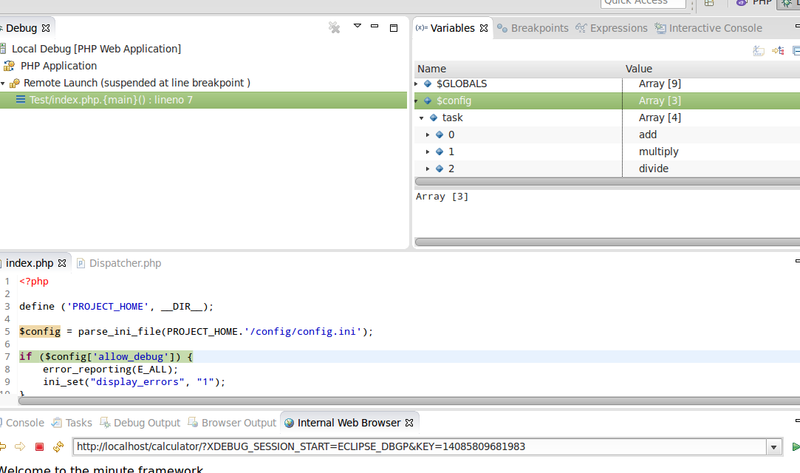 Go to your eclipse Run>Run Configurations..
Now your eclipse is ready for debugging! You can put a break point by double clicking on the area you would like the debugger to stop. As you can see, I was able to see the value assigned on the $config variable that is was read from config.ini file. Just add the above as one of the curl options and you should be good.